Definition at line 77 of file schedule.h. 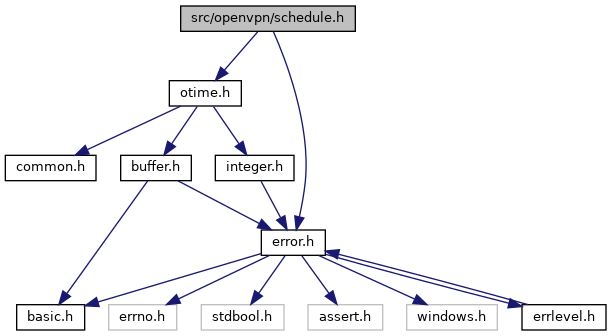 Referenced by schedule_add_entry(), and schedule_add_modify(). Definition at line 100 of file schedule.h. References schedule::earliest_wakeup, IN_TREE, schedule_add_modify(), schedule_entry::tv, and tv_within_sigma(). Definition at line 120 of file schedule.h. References schedule::earliest_wakeup, schedule::root, schedule_find_least(), and schedule_entry::tv.